Our Gathering Place is a space dedicated to the promotion of Indigenous culture, tradition and ceremony. Friendly and helpful support is here for you. Join us for our multi-day Indigenous Youth Conference. We'll get you started...from financial aid advice, community support, counselling to cultural activities. Make strong connections with our Elders. We welcome you to Selkirk College! Connect with Ann-Marie Smith as she shares her teachings with us! At Selkirk College you will find friendly and helpful support with our Indigenous Services. We provide support to all prospective and current Indigenous students and can help connect you with financial aid advice, community support, career counselling, cultural activities and much more. Selkirk College acknowledges our respect for and deep gratitude to the First Nations of the West Kootenay and Boundary regions: the Sinixt (Lakes), the Syilx (Okanagan), the Ktunaxa, and the Secwepemc (Shuswap) peoples on whose traditional territories we are honoured to operate. Learn more about our policy explaining this acknowledgement... Search Policy 1100 Territorial Acknowledgement. You are invited to connect with us at one of our events. Come and join us for one of our gift making circles, for a student lunch, a guest speaker event, some drumming or an activity offered through Continuing Education. Visit the Gathering Place where the doors are now open to provide Indigenous students with a place to meet, study and relax. The Gathering Place is a brand new facility on the Castlegar Campus that is devoted to enhancing services, and providing a welcoming and supportive environment to Indigenous learners. Everyone is invited to attend the events at the Gathering Place and at the other campuses throughout the year. Learn more about our Gathering Place. Strengthening Our Relations 2016 from Selkirk College on Vimeo. Now that you're ready to choose a post-secondary institution for your educational goals, let us make it easy for you to discover all that Selkirk College has to offer. Learn more about how to Get Started today. Jessica Morin, Indigenous Services Liaison speaks about the services and events offered through Selkirk College. 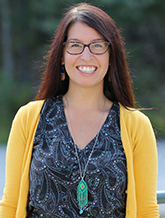 Jessica Morin will help you access services, organize a Gathering Place event and answer your questions about Selkirk College. 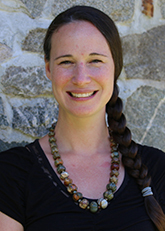 Leah Lychowyd will help you access services and answer your questions about Selkirk College. 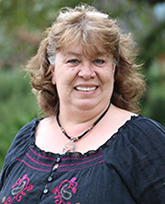 Ann-Marie Smith will share her teachings with us.